"Y-y-y-you," he stammered, and Flissa turned to see he'd gone ashen. "T-t-t-two of you!" Flissa reached up and checked. Sure enough, her hood had fallen off. Princesses Flissa and Sara are even closer than most twins. In fact, most of the kingdom thinks they're the same person. But when the first magical attack in years puts their mother's life in danger, the girls must break the rules that have protected them to save her. Enlisting a brave servant boy and his plucky black kitten as their guides, they set off on an epic quest to the Twists-a forbidden place full of dark magic-to find the evil mage who cursed the queen. 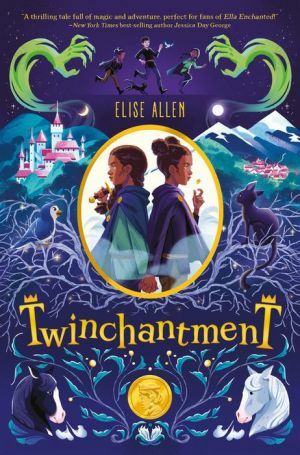 With a case of mistaken identity, a wickedly powerful exile out for vengeance, and time running out for their mother, the twins might just need to make their own magic to save the day.